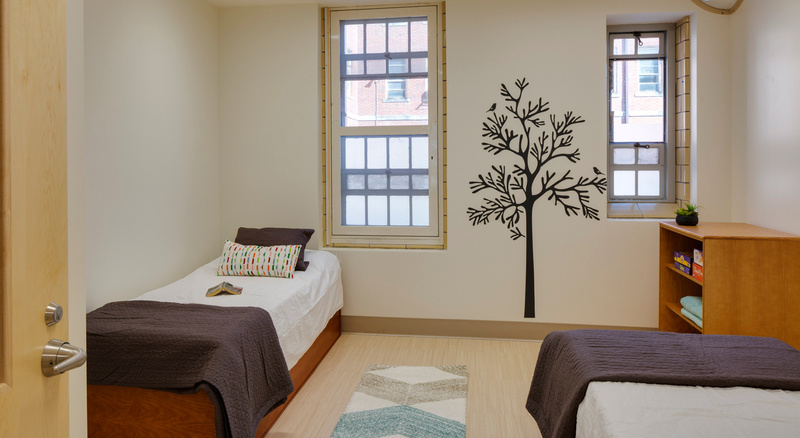 The Taunton State Hospital WRAP (Women’s Recovery from Addictions Program) Center is a secure facility that houses women who are recovering from addiction and substance abuse. 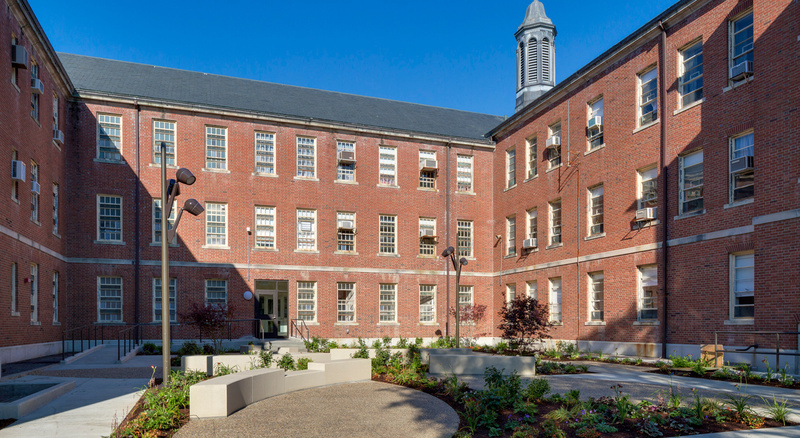 The renovation project included 17,050 square feet of the historic Taunton State Hospital’s Chambers Building. 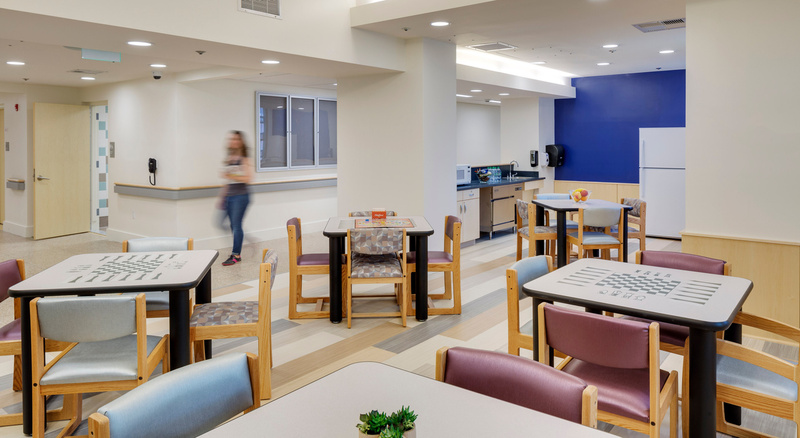 The 45-bed facility features a reading and dining area; medical exam rooms; laundry room; exercise equipment; and an outdoor courtyard. Construction began on December 1, 2015, and the WRAP Center was open for occupancy on July 5, 2016. Within a six-month time-frame, the former building was transformed into a welcoming, home-like environment. 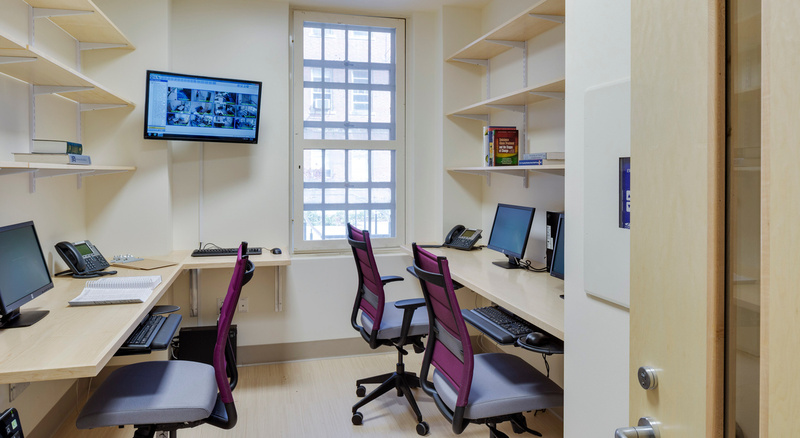 Spaces were designed to give individuals a sense of control and identity. Complete HVAC and life safety systems were installed. 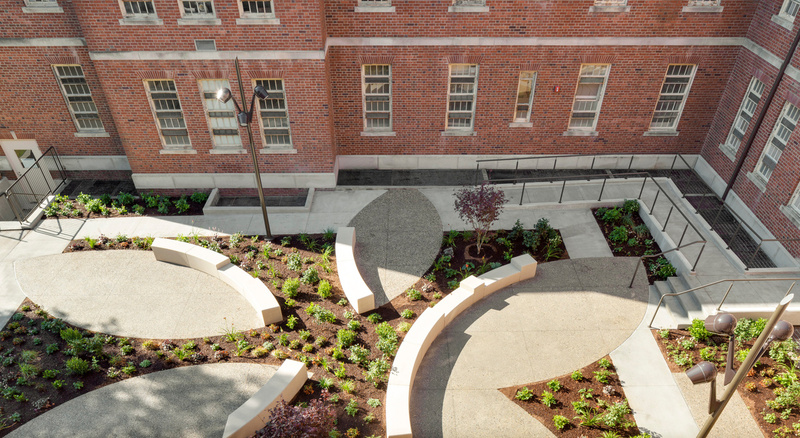 Two beautifully-landscaped courtyards with site furnishings and walks were created to give patients access to the outdoors. 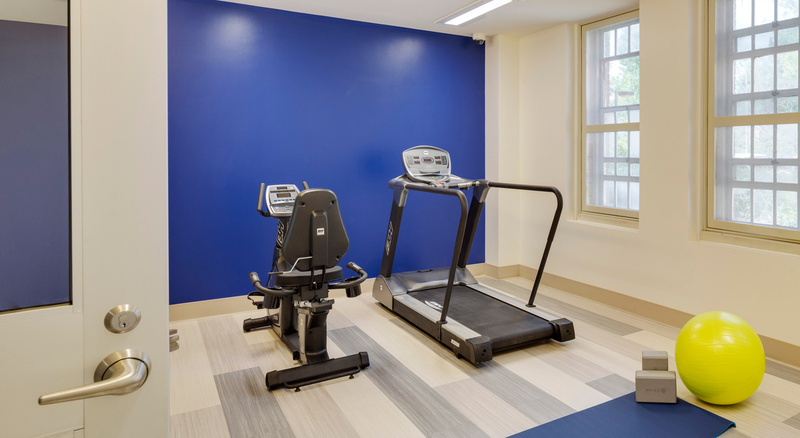 The Construction Phase took just over six months – an accomplishment achieved through a highly collaborative owner team (DCAMM, the State’s building agency and Department of Mental Health), architect (Studio G) and builder (BOND). 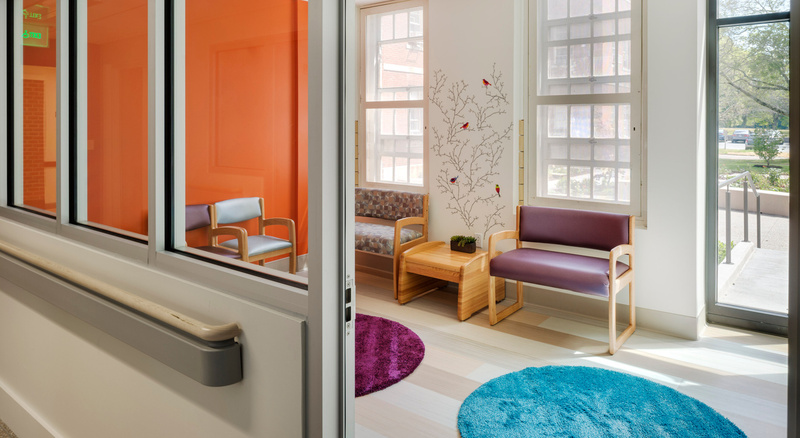 Taunton State Hospital WRAP (Women’s Recovery from Addictions Program) project was awarded the Preservation Massachusetts 2017 Paul and Niki Tsongas Award in the category of Best Use – Community and Social Services recognizing those who have played an extraordinary role in promoting the preservation of the Commonwealth’s past for the benefit of the future.